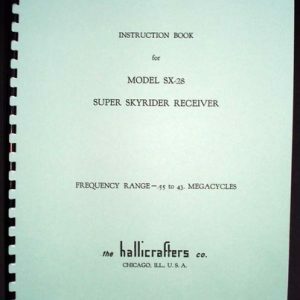 For sale is reprint of Hallicrafters Model SX-28-A Super Skyrider receiver manual. 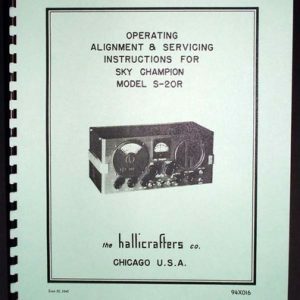 Manual is 34 pages long and includes 11×17 foldout of circuit digram. 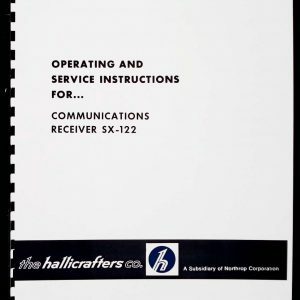 Chapters of manual include: Installation, Operation, Summary of Related Circuits, Receiver Alignment, Table of tube socket voltages and part list. 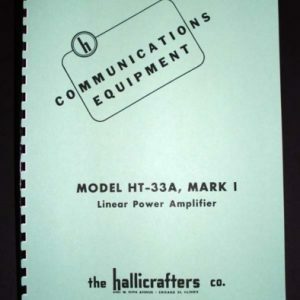 Tube socket voltage list is a must for troubleshooting, manual also include index of part manufacturers. 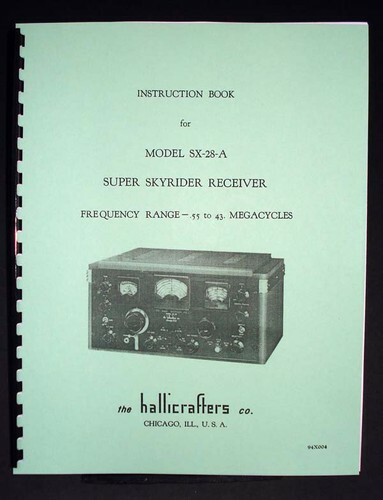 This entry was posted on July 20, 2013 by artur.